Pinoy Bomber, Why Do You Hurt Your Countrymen? 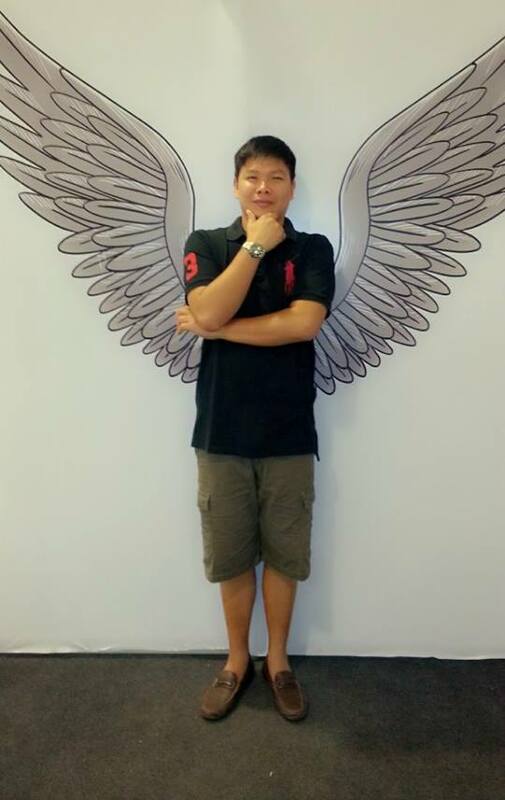 Photo taken from the wall of Tereh Desamparado. 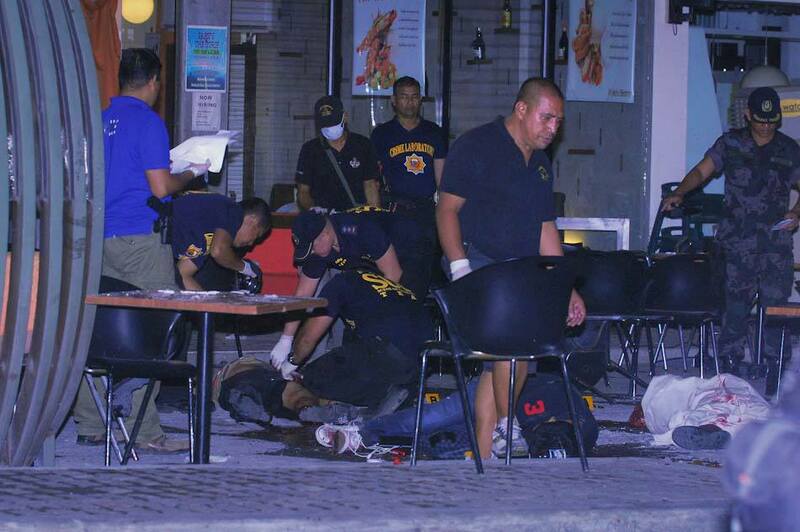 Six were killed in a bomb blast incident, Friday evening in Cagayan de Oro City at Kyla’s Bistro, among the line of restaurants in Rosaria Arcade outside Cagayan’s busiest shopping center, LimKetKai Mall. 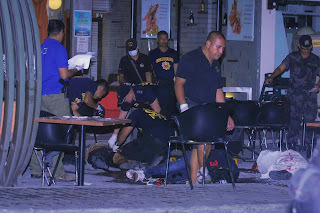 One of the casualties was a civilian, Emmanuel Desierto Palafox, who only came to CDO for the PCCP convention. 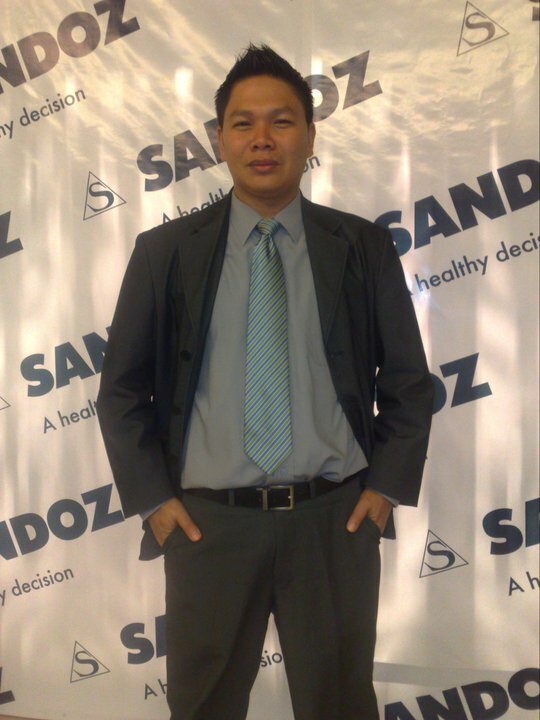 He is the company district manager at Sandoz, who was partying with his colleagues together with other convention participants, among them were doctors. Sandoz is a pharmaceutical subsidiary distributing generic medicines, the third among the largest division of the global industry leader in the pharmaceutical industry, Novartis. To his colleagues, he was called Manny. That evening, he was seated at the table where the bomb was allegedly placed and killed him on the spot along with two other medical representatives. 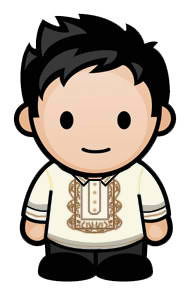 Manny is a resident of Zamboanga City, whose wife, Heteluv and two adorable children (both girls), excitedly awaits his return from every travel. Today, he will come home in a casket that brings profound sorrow to his wife, children and the rest of the family. His mother, Fatima Desierto Palafox, whose roots are from Ipil, Zamboanga del Sur, and brother Jerico, grieve from Davao and scheduled to come home for the burial; while his other brother, Atty. Jules Christian Marcos takes care of all the necessary funeral arrangements from home. He was fondly called Tata in the family, who had been one of the world’s most wonderful husband and father. The bomber used an improvised explosive device that also injured 48 others. There is no tolerance for this violence in a supposedly peaceful community of CDO. From a grieving family, there can be no justification in taking away a father who works hard to put his children in school and bring home food to the table. To his wife, he was the world she knew. He was a good son to his mother who regularly visits on Sundays after attending mass and a loving brother to his siblings and cousins. Emmanuel Desierto Palafox, hasta la vista. Rest in peace with the Lord, kuya Tata.